Hotel Direct have launched a new Theatre Hub called Theatre Breaks. As part of the hub, they have a writing competition for bloggers. The prize is a chance to become a #StarForADay. To be in with a chance of winning, bloggers are asked to create a London itinerary based on a current West End character. I've decided to create an itinerary for Johnny (AKA Jesus of Suburbia), from American Idiot. 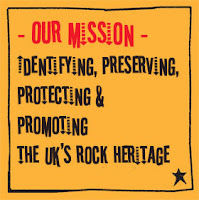 To begin the day, Johnny is going to go on one of the London Rock Tours. 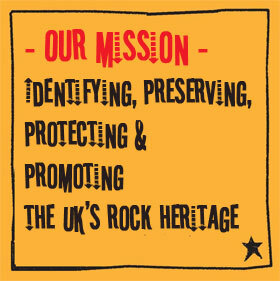 I think he would really enjoy their Monsters of Rock tour, taking in over 100 iconic rock sites and locations. 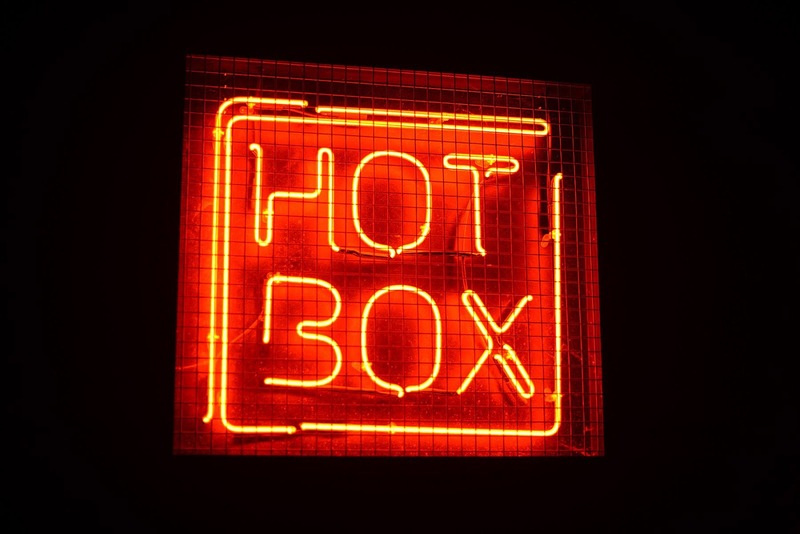 Johnny will be really hungry after such a full-on tour, I've booked a table for him at Hotbox in Spitalfields. Their menu of including jalapeno hot link sausage sandwiches and wagyu beef brisket rolls, craft beers and whiskies and bourbons is sure to suit Johnny perfectly, and also remind him of home. 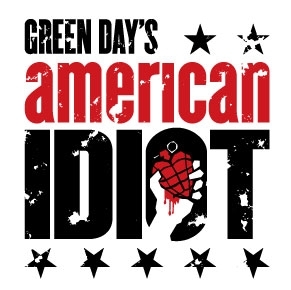 Of course, Johnny couldn't visit London without taking in a performance of Green Day's explosive, award-winning Broadway musical AMERICAN IDIOT, at The Arts Theatre, starring X factor finalist Amelia Lily. 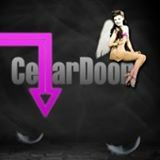 To finish off Johnny's perfect day and night he's going to visit Cellar Door in Aldwych. This tiny bar is conveniently situated in Central London but it continues to remain a local secret because of its discreet entrance. This edgy bar has a distinct character – imagine 30’s Berlin meets New York basement dive. With flavoured snuff and daily cabaret and burlesque performances to ensure a perfect evening. Golden peonies bowing their heads beneath blue delphinium bells. Delicate pink anemones threaded between freckled green orchids. Soft apricot roses woven together with velvety purple irises. Every bouquet tells a story. And every story begins at Blossom & Grow, a tiny jewel-like flower shop in the heart of Dublin. Here, among the buckets of fragrant blooms, beneath the flickering candles and lanterns, Lara works her magic. Translating feelings into flower arrangements that change hearts and lives. But what about her own heart? Has she really healed since she lost her chance to be a mother? What will happen when her own story takes a sudden turn? Can the flowers that heal the customers work their magic on the florist? 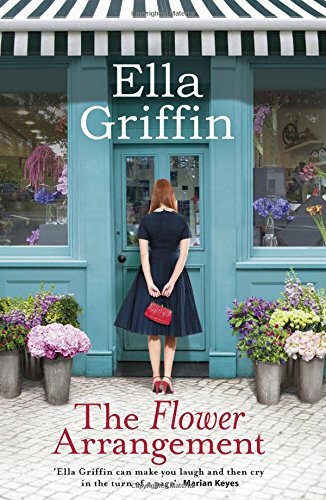 Drawing together a delightful cast of characters, Ella Griffin brings her warmth, wit and wisdom to a captivating tale woven aItround a Dublin florist. 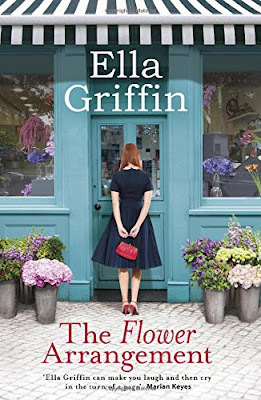 The Flower Arrangement by Ella Griffin was published by Orion on 18 June 2015, and is the author's third novel. 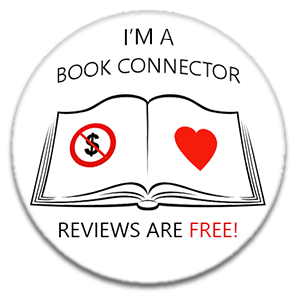 Ella Griffin's first novel, Postcards From the Heart was one of first books that I featured on Random Things, I also read and reviewed her second book, The Heart Whisperer, in January 2013. I enjoyed both of those books so much, and was delighted to receive a copy of The Flower Arrangement for review. Once again, Ella Griffin has created a story that is warm and uplifting, dealing with serious and complicated issues at times, with a wonderfully created lead character at it's heart. The star of the novel for me is Lara's florist shop; Blossom & Grow. I love flowers, and adore florist shops. For me, there is something incredibly special about entering that cool, damp air that every florist shop has and picking out a bunch of flowers that exactly suit my mood. Somedays it could be beautifully scented stocks, another day I'll pick freesias and quite often I'll ask for an assortment of wildflowers. Ella Griffin has so cleverly recreated those feelings with her intuitive and descriptive writing. Lara, the heroine of this novel has also always loved flowers. Her widowed father bought a bunch of flowers and gave it to her every week. Her Dad brought her and her brother Phil up after the death of their mother. Lara, Phil and their father remain incredibly close and support each other through sadness and tragedy. Ella Griffin has so cleverly constructed this story. Naming each chapter after a particular flower and dedicating it to a particular character. Each of these individual stories weave together to create the whole thing. Some characters play a bigger role, some develop and some take just a small role, but each one adds something to the depth and beauty of this book. Filled with descriptions of flowers, and how they add to any and every occasion, from birth to death, this really is a fabulous story. I adore Lara, I felt her sorrow and her pain, and admired her generosity and spirit. A really special read. Ella Griffin's writing gets better with every book. Huge thanks to Orion who sent my copy for review. Ella Griffin was born in Dublin. 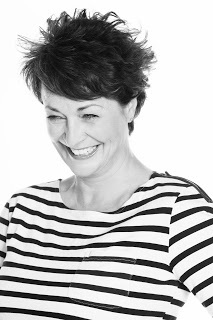 She is an award-winning advertising copywriter and travel writer. She lives in County Wicklow with her husband Neil and their deerhound Haggis. Charlotte struggles to reconnect with the woman she was before children, and to find the time and energy to paint. Her husband, Henry, cannot face the thought of another English winter. Australia brings out the best in you'. Charlotte is too worn out to resist, and before she knows it is travelling to the other side of the world. But on their arrival in Perth, the southern sun shines a harsh light on both Henry and Charlotte and slowly reveals that their new life is not the answer either was hoping for. The Other Side of the World by Stephanie Bishop is published by Tinder Press on 13 August 2015. This book is one of those books that made my heart lurch about my chest, for many reasons. Not least is that it's the sort of book that sends fear through a blogger's head. Pure fear. The fear that as someone who is not a writer, but an avid reader and book lover, and a person who wants to shout about the books that I have loved, that I won't be able to find any words to describe the story. Crikey this one is good. It's one of those 'hair stands up on the back of your neck' affairs. It's slow and gentle and lyrical and almost melodic. Two people; Charlotte and Henry. Obviously in love despite their contrasting nature and opinions. The parents of two small children. Two little girls who drain Charlotte, who consume her every waking minute. She loves her children, but she yearns for her life as a painter, pre-children. She takes solace in the surrounding countryside, Traipsing the fields, delighting in the wildlife, the greenery, the silence, the open space. Henry is also consumed. Consumed by his hatred of the cold English winter weather. Consumed by thoughts that he is not quite good enough. Aware that people treat him a little differently because of his mixed heritage. For this is 1960s Britain and despite mixing in the most cultured of company, he is aware of glances and comments. Henry is also consumed by the contents of a leaflet that describes a land on the other side of the world. The leaflet invites him to apply to emigrate to Australia - land of year-round sunshine, and warmth. A land that he is sure will accept him. Charlotte does not want to leave the fields and the trees of England, but she is tired and she loves Henry and eventually they arrive in Australia. Charlotte yearns. Henry realises. Australia is not the answer. It doesn't matter how many thousands of miles that you travel, you cannot leave yourself behind. Your problems, and beliefs will be there, as part of your checked-in baggage. Stephanie Bishop writes with such apparent ease, her script flows effortlessly, taking the reader as passengers on Charlotte and Henry's journey. Her ability to describe landscapes and places is quite stunning. The cold, wild landscape of rural wintry England, to the cloudless skies and overwhelming heat of Australia; both of these settings come alive evoking such a sense of place that it can be quite startling when you look up from the book and find yourself in your own back garden, or lounge, or on the train. This author also gets deep into the minds of her characters, both male and female. The reader is well aware of the character's failings and real issues long before they realise themselves. There are so many strands to this story, with issues of culture and parenthood, relationships and honesty all addressed so beautifully. 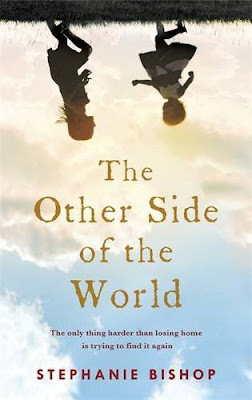 I don't really like to compare authors, but if you love Maggie O Farrell's writing, then you are sure to love The Other Side of the World too. Huge thanks to Tinder Press who sent my copy for review. Stephanie Bishop was named as one of the Sydney Morning Herald's Best Young Australian Novelists for her first novel, The Singing, and has been shortlisted for numerous Australian literary awards. 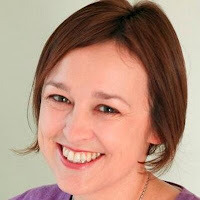 She studied at Cambridge, where much of The Other Side of the World is set, and is currently a lecturer in creative writing at the University of New South Wales. Rosie Milford inherits a house in an old silk factory after her mother’s death and moves there with her young children. The discovery of a shocking truth about her own childhood, when she is already reeling from the breakup of her marriage, fills her with distrust and fearfulness. Then she starts seeing a strange child, wandering in the garden, who seems as lost as she is. In 1812, silk master Septimus Fowler has grand plans to keep his factory in step with the industrial revolution: he will plant mulberry trees, rear silkworms and import new mechanized looms. Orphan Beulah Fiddement works as a bobbin winder and has secrets that the master would go to any lengths to get. Caught up in a dark adult world of illicit love, rebellion and revenge, Beulah must put away her childhood and draw on all her spirit to protect those she loves. Beulah’s story of guilt and bravery will echo down two centuries and change Rosie’s life as she struggles to overcome the hand of her own past and find redemption. Judith Allnatt's first novel; A Mile of River is one of my all time favourite books, I reviewed it here on Random Things back in February 2013. I was delighted to receive a copy of The Silk Factory from the publisher for review. 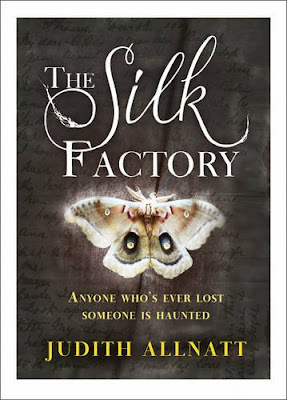 The Silk Factory is not just the title of this story, it is also it's heart. Rosie Milford and her two small children have moved into a house that was once part of a silk factory. The house was left to Rosie when her mother died recently, and she hopes that she and her children can make a new start there. They've come through some difficult times recently with the death of her mother and the break-up of her marriage, and although Rosie often feels unsettled by being surrounded by her mother's belongings, she also feels comforted. Judith Allnatt then effortlessly transports the reader back to the early nineteenth century as Rosie begins to notice strange things in the house with ghostly apparitions and discovers truths about her own childhood. The harsh reality of life as employees of the owner of the original silk factory are exquisitely depicted through the authors writing. The young family of Effie, Tobias and Beulah struggle daily to exist, suffering at the hands of their employer Septimus Fowler and as their wages are docked once again, Effie begins to despair. Until she meets a soldier who promises to love her, but meanwhile Beulah is caught up in his own problems with their master. The legacy of Beulah's story impacts on modern-day Rosie. This is a story of love and of memory, of loss and of hauntings. Judith Allnatt binds the two stories together wonderfully well, creating a novel that is evocative and moving. The dual time method works extremely well, and although I preferred the nineteenth century story, the modern-day Rosie is a very authentic character too. My thanks to Ann from The Borough Press who sent my copy for review. Judith Allnatt is the acclaimed author of A Mile of River, a Radio Five Live Book of the Month, The Poet’s Wife and The Moon Field. Her novels have been shortlisted for the Portico Prize for Literature and the East Midlands Book Award. 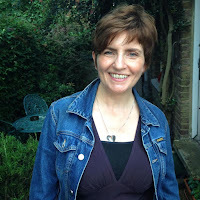 Her short stories have featured in the Bridport Prize Anthology, the Commonwealth Short Story Awards and on BBC Radio 4. She lives with her family in rural Northamptonshire. Lily Fitzpatrick loves vintage clothes - made all the more precious because they were once owned and loved by another woman. Thousands follow her vintage fashion blog and her daily Instagram feed. But this passion for the beautiful clothes of the past is about to have unforeseen consequences, when Lily stumbles upon the story of a 1950s New York beauty, who was not only everything Lily longs to be, but also shares Lily's surname. Joy Fitzpatrick was a legend. But what was the famous dress which she once commissioned - said to be so original that nothing in couture would ever match it again? What happened to it - and why did Joy suddenly disappear from New York high society? Kate Kerrigan's enthralling novel interweaves the dramatic story of Joy, the beautiful but tortured socialite and that of Lily - determined to uncover the truth and, if possible, bring back to life the legendary dress itself. The Dress combines many of my favourite things; vintage fashion, Ireland and the glamour of the America in the 1940s and 50s, of and of course, the world of blogging! I hardly know where to start when talking about The Dress. It's such a dream of a story, so beautifully written that the reader is transported off to the world of high fashion and wealth and glamour. The Dress is a dual-time narrative, with the modern-day story being told from the point of view of Lily. 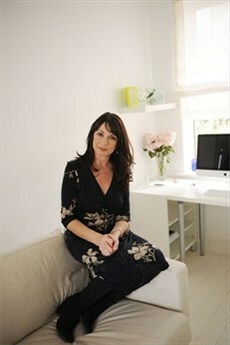 Lily is a hugely successful vintage blogger, she has over a quarter of a million blog and Twitter followers (I wish! ), and has really made a name for herself in the world of fashion and vintage. She has a collection of fashion pieces that are much sought-after, she's lively and pretty and popular. Lily is also a frustrated fashion designer. Scared of rejection and failure, she has put all thoughts of creating her own designs to one side. Until, that is, she stumbles across a photograph of 'The Dress'. Probably the most beautiful dress ever created, and worn by a stunningly magnificent woman. Lily is determined to find out as much as she can about both the dress and the amazing woman that is wearing it in the photo. We readers are lucky enough to know all about both of these, as Kate Kerrigan effortlessly weaves the story of how and why the dress was created back in 1950s America. Joy Fitzpatrick is the owner of the dress. Joy is married to Frank and is the darling of high-society. Rich in her own right, beautiful, kind and just a little bit spoilt, Joy knows that the dress will ensure that her husband will love and adore her forever. Honor is the dress designer. Plain and not interested in wearing beautiful things herself, she's a quiet girl from County Mayo in Ireland, come to America to realise her dream of designing gorgeous clothes for rich and famous women. The story skips back and forth, following Joy and Honor as they work together to create the dress and then back to the present day as Lily tracks down the story of the original dress and becomes obsessed with recreating it. Combined within the story of high fashion and wealth and beauty are more serious issues and Kate Kerrigan skilfully weaves these into the storyline, adding a depth and substance to both the story and the characters that takes this novel up a level. 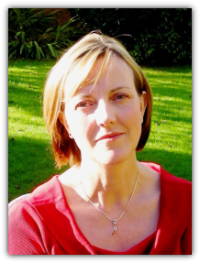 Kate Kerrigan is a talented author who has created characters who are vivid and authentic. 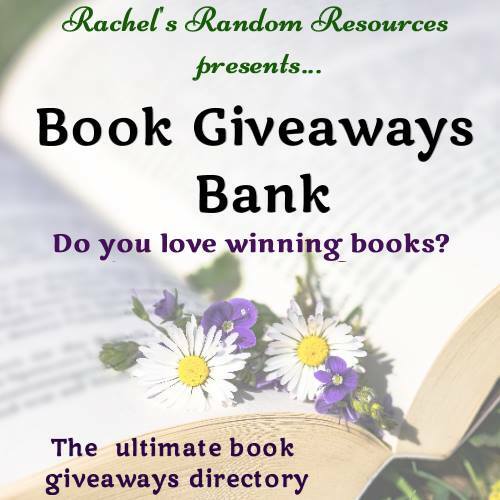 She has combined a touch of romance and glamour with heartbreak and treachery, often taking her characters to their lowest ebb, but always engaging the reader with her magical gift for storytelling. 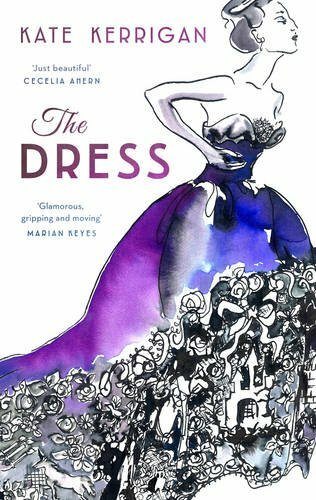 With a cover that will shout from the shelf of every bookshop and a plot that will delight fans both old and new; The Dress is engaging, charming and elegant. A highly recommended read. My thanks to LoveReading.co.uk who sent my copy for review. Kate Kerrigan lives in County Mayo, Eire, with her husband and children. Her novels include Recipes for a Perfect Marriage, shortlisted for the 2006 Romantic Novel of the Year Award and Ellis Island, which was a TV Book Club Summer Read. Find her author page on Facebook. THEY SAY EVERY FAMILY HAS SKELETONS IN THEIR CLOSET . . . But what happens when you open the door and they won’t stop tumbling out? For Adam and Beth the first secret wasn’t the last, it was just the beginning. You think you can imagine the worst thing that could happen to your family, but there are some secrets that change everything. And then the question is, how can you piece together a future when your past is being rewritten? 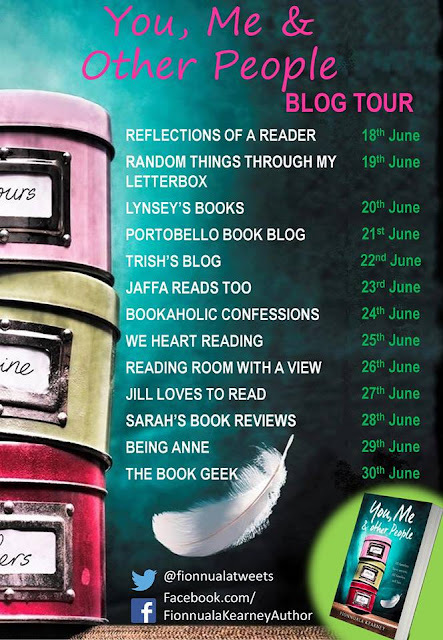 Welcome to my spot on the BLOG TOUR for You, Me and Other People. 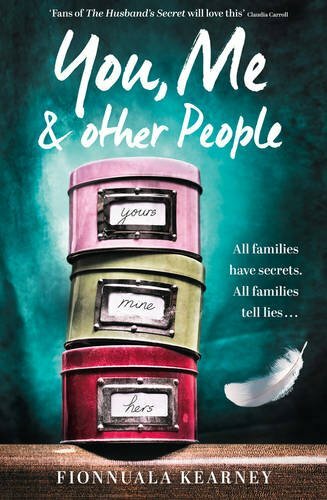 You, Me and Other People was published on 18 June 2015 by Harper and is Fionnuala Kearney's debut novel. The cover art for You, Me and Other People is so striking, it's clever and very reflective of the story within the pages. I'm a sucker for a beautiful cover and this is one that would certainly catch my eye in a bookshop. Fionnuala Kearney has given us the story of a broken marriage. There's certainly nothing new about that as the basis for a novel, but this author has cleverly told the story from both sides. The voices of the main characters; Adam and Beth are clear and separate, the characterisation is superb and the dialogue is effective and very authentic. There is far more to this story than Adam's infidelity. It is a hot bed of secrets, mysteries and long hidden lies, and these are slowly but surely exposed via the author's excellent writing skills. I didn't like Adam, or what he has done. Not many of the other characters like Adam either, in fact I don't think Adam really likes himself either. Beth, on the other hand, is a strong and determined character. Despite her heartbreak and feelings of loss towards Adam and her marriage, she is able to realise that she is worth more than Adam. She's also got their daughter Meg to consider, and although it is clear that Adam does love Meg too, it is Beth who deals with Meg's day-to-day sorrow and grief as well as her own. Most of us will have gone through the heartache of a break-up. Most of us will recognise the feelings and emotions that this author so excellently portrays in her characters. The complexities of modern relationships and the fall-out when they fail are dealt with so well in You, Me and Other People and as certain facts about Adam are slowly uncovered, the reader's feelings about him can change. You, Me and Other People is a very accomplished and polished debut novel. The story is compelling, the characters are realistic and the writing flows beautifully. Fionnuala Kearney lives in Ascot with her husband. They have two grown-up daughters (both with deliberately simple monosyllabic names). 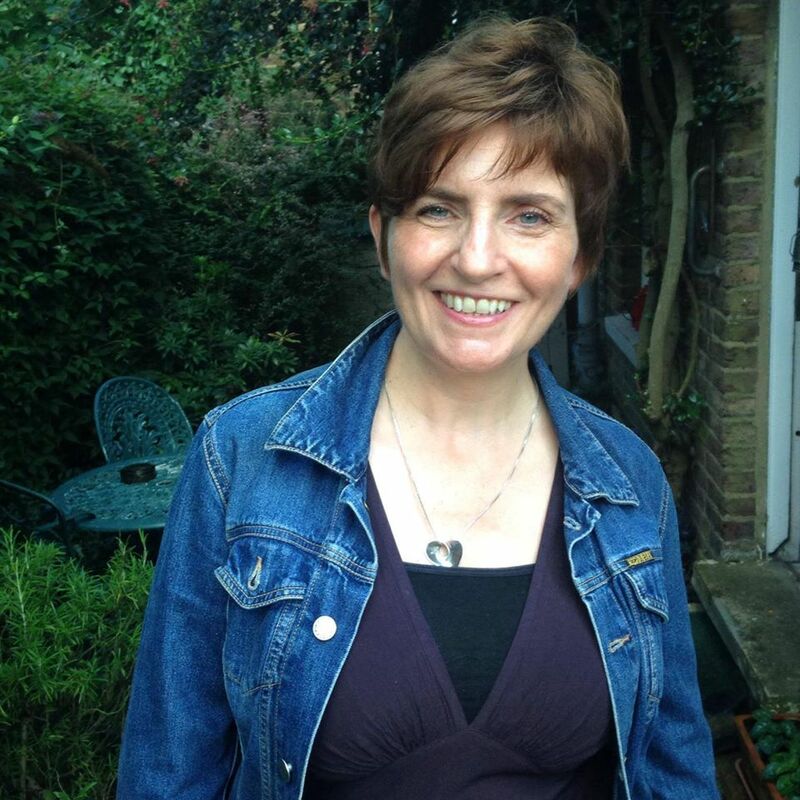 One of seven children, Fionnuala likes to write about the nuances and subtle layers of human relationships, peeling them away to see what’s really going on beneath. You, Me and Other People is her first novel. A seaside holiday at Shell Cottage in Devon has always been the perfect escape for the Tarrant family. Beach fun, barbecues and warm summer evenings with a cocktail or two - who could ask for more? But this year, everything has changed. Following her husband's recent death, Olivia is struggling to pick up the pieces. Then she makes a shocking discovery that turns her world upside down. As a busy mum and GP, Freya's used to having her hands full, but a bad day at work has put her career in jeopardy and now she's really feeling the pressure. Harriet's looking forward to a break with her lovely husband Robert and teenage daughter Molly. But unknown to Harriet, Robert is hiding a secret - and so, for that matter, is Molly . 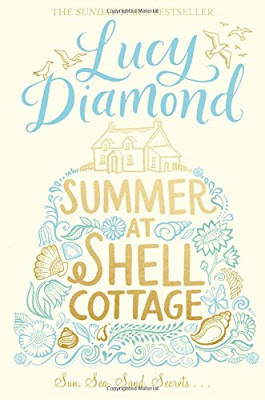 . .
Summer at Shell Cottage was published by Pan MacMillan in paperback on 4 June 2015, and is Lucy Diamond's tenth novel. 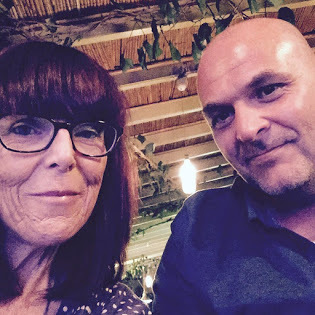 I am a huge fan of her writing and reviewed some of her earlier books here on Random Things; The Beach Cafe (July 2011); Me and Mr Jones (May 2013); One Night in Italy (March 2014); The Year of Taking Chances (December 2014). The Tarrant family have always spent the summer at Shell Cottage. Many years ago, when Alec and Olivia were newly-weds, they discovered this wonderful little spot. They returned year after year, until eventually they bought it. They brought their children, who in turn, brought their own children. Shell Cottage is full of happy memories, a place to be together, to relax and forget about the stresses of everyday life. This year is different. Alec died suddenly and Olivia is bereft. She has lost her soul-mate, her best friend, the father of her children, her other half. When Olivia arrives at the cottage, her already upside-down world is shaken once more. She discovers more about Alec than she could ever have imagined. Her memories and beliefs are shattered, she's not sure that she will ever be mended. Lucy Diamond has, once again, created a cast of characters that the reader can relate to, can love and can empathise with. A family with huge characters and lots and lost of issues. Each family member is precisely drawn, with their own traits and huge personalities. The reader accompanies each one of them as they travel through the summer and deal with a holiday that none of them will forget. The Devon setting is perfect, described with exquisite detail that made me want to book a week in a cottage on the coastline immediately - and that says so much, as I actually read this novel whilst lying on a sun bed in Corfu! Lucy Diamond's writing is warm and witty, yet manages to deal with some serious issues intelligently and thoughtfully. Summer at Shell Cottage is another sparkly, glowing read from Lucy Diamond. Her fans will adore this one, and new readers will be delighted to find her stories too. My thanks to the publisher, Pan MacMillan, who sent my copy for review.